This publication (The Denver Jewish news) keeps referring to Hitler as "Dr. Hitler" and I don't know what to make of it. If I’m not mistaken, Mussolini was called a professor. Do we have a doctor and a professor at the helm of the WW2, or they just enjoyed the feeling of being important? This made me think of Joseph Goebbels. Goebbels had a doctorate in philosophy of the university of Heidelberg, and is often indicated as "Dr. Goebbels" (so in LIFE of 20 March 1939). Perhaps, at a certain stage, Adolf could not leave behind. 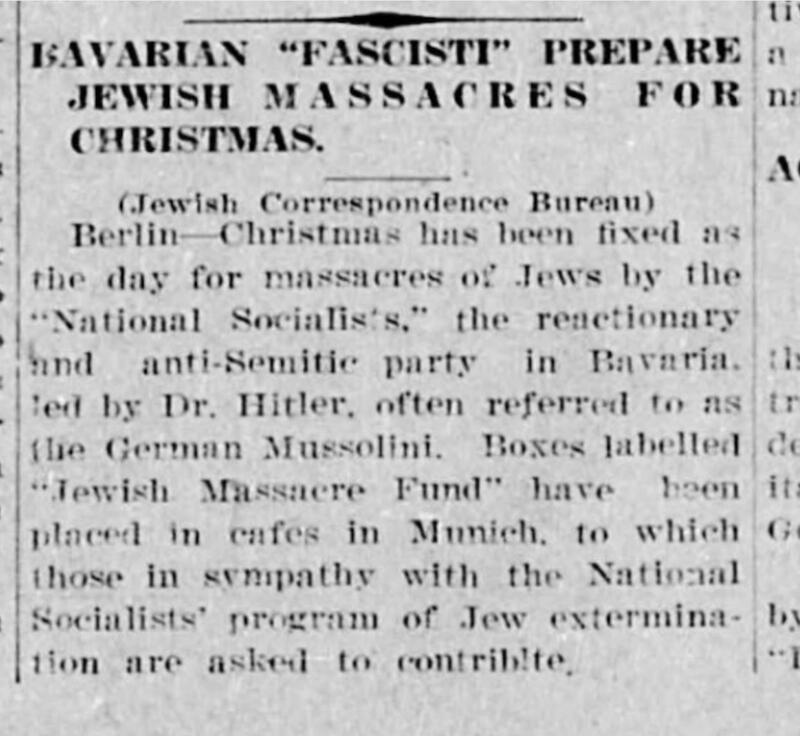 But on the other side, the article of the Denver Jewish News is from 1922. Goebbels entered the Nazi party in 1924, and was not active in Bavaria, but in Berlin. Anyhow, independently of the "Dr." question, the mentioning of an extermination program in 1922 is very bewildering.